In addition to being regulated by the Fair Debt Collection Practices Act (FDCPA), Tennessee collection agencies are also regulated by Tennessee debt collection laws. Discover: Tennessee collection requirements, bad check laws (NSF), statutes of limitations for both debts and judgments, garnishments plus Tennessee collection agency license and bonding information. 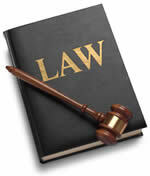 Treble damages up to $500 + 10% interest & reasonable service charges, atty.’s fees, & court costs. See federal law. Add $2.50 per wk. for dependent child under 16. Exemption for out-of-state collectors: Contact state licensing authority. Out-of-state agencies may be exempt if they  maintain office in another state;  resides in a state that provides reciprocity; and  comply with provisions of licensing. (7) “Location manager license” means a license granted to a location manager, pursuant to § 62-20-108. (9) “Solicitor” means any individual who is employed by, or under contract with, a collection service to solicit accounts or sell collection service forms or systems on its behalf. (3) Any person engaged in the collection of indebtedness incurred in the normal course of business, or the business of a parent, subsidiary, or affiliated firm or corporation; however, no person who is or represents such person to be a collection service is exempt from this chapter. (b) Nothing contained within this chapter shall be construed to require an individual or business entity, which collects only the individual’s or its own unpaid accounts, to submit to licensure or regulation by the collection service board. (a) There is hereby created the Tennessee collection service board, which shall consist of five (5) members appointed by the governor. Members shall serve for a period of three (3) years, except that appointments made to fill unexpired terms shall be for the period of such unexpired terms. (b) Members of this board shall be residents of this state for at least five (5) years prior to their appointment. At least two (2), but not more than three (3), of the members shall be engaged in the collection service industry. In making appointments to the board, the governor shall strive to ensure that at least one (1) person serving on the board is sixty (60) years of age or older and that at least one (1) person serving on the board is a member of a racial minority. (c) The board may hold such meetings as it may deem necessary for the purpose of transacting any business authorized under this chapter. All members of the board shall be duly notified of the time and place of each meeting. A majority of the board constitutes a quorum at any such meeting. (d) Each member of the board shall receive the sum of fifty dollars ($50.00) for each meeting of the board attended by the member. Each board member shall also be reimbursed for actual travel and other expenses incurred by the member in attending each meeting of the board and in performing any other duties provided for in this chapter. All reimbursement for such expenses shall be in accordance with the provisions of the comprehensive travel regulations as promulgated by the department of finance and administration and approved by the attorney general and reporter. (e) The board shall annually select from its members a chair, vice chair, and secretary. No one (1) member of the board shall hold more than one (1) such office. (f) All questions, submissions or requests directed to the board shall be addressed to the board’s office in Nashville. (g) The board shall promulgate rules relating to the general conduct of collection service business which are consistent with recognized business practice and the provisions of this chapter. (h) The director of the division of regulatory boards in the department of commerce and insurance, or the director’s designee, shall serve as executive director of the board, and shall perform all administrative functions for the board. The executive director of the board shall keep an accurate record of its proceedings and transactions. (i) Members of the board, while acting in good faith, shall not be subject to civil liability relative to the performance of duties delegated to the board by this chapter. (a) No person shall commence, conduct, or operate any collection service business in this state unless such person holds a valid collection service license issued by the board under this chapter, or prior state law. (b) Regular employees of licensed collection services need not procure a separate collection service license. (c) A licensed collection service maintaining more than one (1) place of business within the state shall register each place of business with reference to its specific location, name and purpose upon application for license and upon subsequent renewals of the license. The fees for each location for registration and renewal shall be established by the board. (4) A satisfactory proposed budget of monthly operating expenses for the first six (6) months of operation. (9) Who, within the past seven (7) years, has filed a petition under the federal bankruptcy laws or state insolvency laws, or has had a receiver, fiscal agent or similar officer appointed by a court for the person’s business or property. (D) In the event such application as a location manager is made on or after July 1, 1988, has been employed by a licensed collection service in a position directly related to the collection of debts and/or the solicitation of accounts receivables for a period of not less than one (1) year within a three-year period of the date on which the examination was administered; or, in the alternative, has demonstrated to the satisfaction of the board that the applicant has adequate experience, within a three-year period of the date on which the examination was administered, in a business which is governed by laws similar to those laws which govern a licensed collection service, including, but not limited to, the Fair Debt Collection Practices Act, as amended, in a position directly related to the collection of debts and/or the management of credit or accounts receivables, such that the applicant is competent to discharge properly the responsibilities of a location manager. (2) Such examination shall be composed, administered, and graded by an outside, independent educational testing organization. The final selection and approval of such testing organization and the examination shall be made by the commissioner of commerce and insurance and the collection service board. (b) (1) The examination shall cover such subjects as the board may deem necessary for a proper evaluation of the examinee’s competence to operate a collection service business. (2) In case of failure, the fee for each reexamination shall be set by the board. (3) No person shall be administered the location manager examination as provided in this subsection (b) more than three (3) consecutive times. In the event a person fails the location manager examination three (3) consecutive times, that person must wait one (1) year following the third failure before taking the examination again. The location manager examination shall be administered approximately every one hundred twenty (120) days so that the examination is administered three (3) times annually. (c) (1) Any person who meets the requirements of subsection (a) shall be issued a license to act as a location manager. (2) The location manager license shall be prominently displayed at all times at the location of the collection service at which the licensee acts as location manager. (C) Was not employed by an attorney-at-law in a position directly related to the collection of debts and/or the solicitation of accounts receivable. (2) A location manager license issued pursuant to this section shall be revoked if the licensee fails to renew the location manager license as provided for in § 62-20-112. (e) The board shall be promptly notified in writing of any change in address, management, location manager, or ownership of a collection service business. (a) The board shall grant a collection service license to a qualified applicant upon receipt of a fee as set by the board, such fee shall not be prorated for any portion of a year. (b) The collection service license shall be prominently displayed at all times at the licensee’s place of business. (a) The bond posted or the certificate of deposit assigned in accordance with this chapter shall be in full force and effect during all periods and in all places and areas in which the licensee is doing business within this state as a collection service. (b) If any collection service violates the conditions of such bond or certificate of deposit, the injured client may maintain an action in such client’s own name on the bond or certificate of deposit of such collection service in any court of competent jurisdiction. (c) In no event shall the aggregate liability of the surety exceed the amount of such bond, nor shall the board or this state be liable to any client relative to an assigned certificate of deposit. (a) (1) No person may act as a solicitor for any collection service unless such person possesses a valid solicitor’s identification card issued by the board to such collection service. (2) Identification cards shall be obtainable by written application of the collection service licensee, accompanied by an annual fee as set by the board. (3) Such cards shall be the property of, and in the name of, the collection service licensee, who may transfer them from one (1) of such collection service licensee’s solicitors to another. (4) The collection service licensee shall be responsible for the proper training and conduct of each solicitor acting in such collection service licensee’s behalf. (b) In order to protect the rights of creditors, all letters of collection or notices of collection from a collection agency to a debtor shall contain language stating that the collection agency is licensed by the collection service board of the department of commerce and insurance. (a) All licenses and identification cards shall expire on the December 31 following the date of issuance or renewal. (4) Proof that all taxes that are applicable to the collection service licensee and that are then due and payable have been paid. (c) All licenses shall be subject to late renewal for a period of sixty (60) days following their expiration date by payment of the prescribed fee plus a penalty as set by the board. (2) A completed and executed renewal form as provided by the board. (a) No license shall be transferable to another person. (b) Upon change of ownership of a collection service, the new owner shall apply for and obtain a new collection service license before commencing or continuing business. (4) Maintain records and books reflecting the true condition of bank accounts at the end of each calendar month. (a) (1) The board may, upon its own motion, or shall, upon the sworn complaint in writing of any person, investigate any collection service and/or licensee operating in the state. (2) The board shall transmit any such complaint within fifteen (15) days of receipt thereof to the accused licensee by registered or certified mail. (3) Such licensee shall, within twenty (20) days, file with the board the licensee’s sworn answer to the complaint. (2) Collecting or attempting to collect from the debtor any fee, commission or other compensation not provided by law for collection services rendered to a client, except that a collection service may recover from debtors reasonable charges imposed by banks for processing insufficient fund checks; provided, that such charges do not exceed nine dollars ($9.00) per check. (6) Any cause for which issuance of a license could have been refused had it existed and been known to the board at the time of issuance. (4) Shall within ninety (90) days remit all moneys to the owners of the accounts on which such moneys were paid. (3) Prohibit the continuation of business at a location of a licensed collection service without a licensed location manager for a period of not more than one (1) year during which time the collection service licensee shall obtain a licensed location manager for such location. (a) A nonresident of this state who is regularly engaged in the collection business in another state may obtain a license as a collection service in this state by complying with the provisions of this chapter; provided, that the nonresident applicant maintains a place of business in such other state and such state offers the same privilege to the licensees of this state. (b) (1) Every nonresident applicant shall file an irrevocable consent that legal action may be commenced against the nonresident applicant in the proper court of any county of this state in which a cause of action may arise, in which the plaintiff may reside, by service of process or pleading authorized by the laws of this state, or by any member of the board, the consent stipulating that the service of process or pleading shall be taken in all courts to be valid and binding as if personal service had been made upon the nonresident licensee in this state. The consent shall be duly acknowledged, and, if made by a corporation, shall be authenticated by its seal. (2) Any service of process or pleading shall be served on the secretary of the board by filing duplicate copies, one (1) of which shall be filed in the office of the board and the other forwarded by registered mail to the last known principal address of the nonresident licensee against whom such process or pleading is directed. (3) No default in any such action shall be taken, except upon affidavit certification of the board or the secretary thereof that a copy of the process or pleading was mailed to the defendant as herein provided. No default judgment shall be taken in any such action or proceeding until thirty (30) days after the day of mailing of process or pleading to the defendant. Any person who places an account with a collection service is responsible for determining that such service is licensed as required by this chapter. Any financial information submitted by applicants for, or holders of, licenses pursuant to this chapter shall be treated as confidential, and shall be used by the board only for the purpose of determining qualifications to engage in the collection service business. (2) The unauthorized practice of law. (a) Any licensee may temporarily retire the licensee’s license for a period of three (3) years by giving written notice of such intent and paying each year an annual retirement fee of ten dollars ($10.00) to the board. (b) Any license not activated within the three-year period becomes invalid. The provisions of the Uniform Administrative Procedures Act, compiled in title 4, chapter 5, govern all matters and procedures respecting the hearing and judicial review of any contested case, as defined therein, arising under this chapter. A willful violation of this chapter, or of any rule lawfully promulgated thereunder, is a Class C misdemeanor. (6) Who, within the past seven (7) years, has filed a petition under the federal bankruptcy laws or state insolvency laws, or has had a receiver, fiscal agent or similar officer appointed by a court for the person’s business or property. In the event that a location of a licensed collection service loses a location manager for any reason, the collection service licensee shall obtain a licensed location manager for such location. The collection service licensee must obtain a licensed location manager for such location within one (1) year of the date of the event responsible for such location being without a licensed location manager. For purposes of this section, the board may, in its discretion, make provisions for special testing sessions for location manager applicants. (4) A collection service licensee bringing suit in its own name as an assignee may submit an affidavit of sworn account that has been executed under oath by the assigning party or by a person qualified to execute a sworn account pursuant to § 24-5-107(a). A copy of the sworn account shall be filed with the court for service upon the debtor. (3) The county in which the debtor resides at the commencement of the action. (c) No collection service licensee shall commence any litigation authorized by this section, unless the collection service licensee appears by an attorney admitted to practice law in the state of Tennessee. (d) (1) For purposes of commencing litigation, a collection service licensee that has taken an assignment or assignments pursuant to this section may consolidate the assigned accounts, bills, notes or other indebtedness of one or more creditors against one individual debtor or co-debtors, in one case. Each assigned account, bill, note or indebtedness must be separately identified and pled in any consolidated action authorized by this section. The individual amount of each account, bill, note or other indebtedness that forms the basis for any consolidated action shall not exceed two hundred dollars ($200) each, as identified and pled by the collection service licensee, exclusive of court costs, attorney fees and interest that may have accrued before the filing of the consolidated action. The aggregate amount of consolidated accounts, bills, notes and other indebtedness in any one case shall not exceed five hundred dollars ($500), as identified and pled by the collection service licensee, exclusive of court costs, attorney fees and interest that may have accrued before the filing of the consolidated action. Court costs shall be assessed to the losing party. Interest and attorney fees and reimbursable expenses shall be assessed against the losing party, if provided in any of the consolidated accounts, bills, notes or other indebtedness, or as otherwise permitted or required by law. (2) If a debtor or co-debtor files a sworn denial or otherwise raises a dispute concerning any account, bill, note or other evidence of indebtedness, the court shall dismiss the account, bill, note or other evidence of indebtedness, without prejudice. The collection service licensee may bring a separate case for any such disputed account, bill, note or other evidence of indebtedness within one (1) year of dismissal; provided, however, that the disputed account, bill, note or other evidence of indebtedness cannot be consolidated with any other account, bill, note or other evidence of indebtedness. (3) For any account on which an affidavit of sworn account is filed pursuant to § 24-5-107(a), a separate affidavit shall be filed for each account in a consolidated action. (e) Nothing in this section relieves a collection service licensee from complying with the “Fair Debt Collection Practices Act”, 15 U.S.C. § 1692, as amended, or deprives any debtor of the right to assert defenses as provided in that act. (f) On the face of any warrant or other pleading filed in any consolidated action, or in an attachment thereto, the collection service licensee shall state the order in which the creditor intends to apply payments received on any judgment obtained in the consolidated action. The collection service licensee shall also state that payments will be applied as stated unless the debtor instructs otherwise in writing or the court orders otherwise. Knowing and abiding to the proper Tennessee debt collection laws is important for both creditors and collection agencies alike. There are debtor’s rights attorneys who are just waiting for creditors or collection agencies to slip up. If you mistakenly violate the Tennessee debt collection laws, you could create a liability for your business and even open yourself up to a expensive lawsuit. Please note: Tennessee debt collection laws can change over time, and you need to consult with an attorney before you use this information.